Legal nurse consulting has been a rewarding choice of a career for me. Here are some of the top tips for success as a legal nurse consultant. Why you should consider the multiple ways you can reach your market: a website, a blog, tweets, Facebook, ezines, emails, videos, and video testimonials. The second part of the book shares tools and techniques for ​deepening your relationships with your clients.​ You will discover how to win over and retain the clients you want and recognize those who are too much trouble. ​Mastering negotiation, business communication and conflict are essential.​ I show you how. This is the book to use to build a stable foundation for your business. Pat Iyer prepared this edition of Iyer’s Insights. 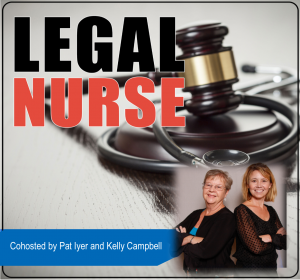 Pat started a highly successful legal nurse consulting business in 1989. She lives the advice she provides in this podcast: she pursues her legal nurse consulting goals and dreams and knows that persistence makes a huge difference in reaching your dreams. In this podcast, she shares top tips for success as a legal nurse consultant.